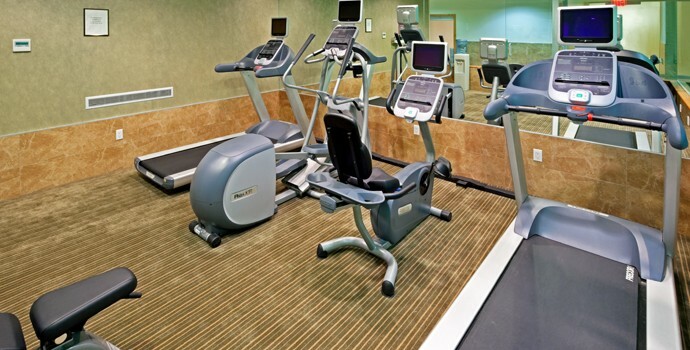 Visit our Fitness Center for a great workout! We have state of the art equipment for all your workout needs. Our cardio-vascular equipment all have individual TVs. Enjoy a quick run or try the elliptical trainer!